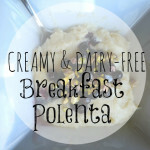 Polenta is creamy and comforting, and naturally gluten free. Eating polenta is a family tradition on my Northern Italian side. It’s amazing. Especially when pared with a yummy Italian mariana or a mushroom sauce. 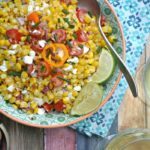 If you are planning a party, and you know that there will be gluten-free folks attending, It is nice to make something that EVERYONE can enjoy. Instead of cutting the carbs out of your menu plan all-together, serve something-so that people won’t even need to talk about the gluten-free movement at all! 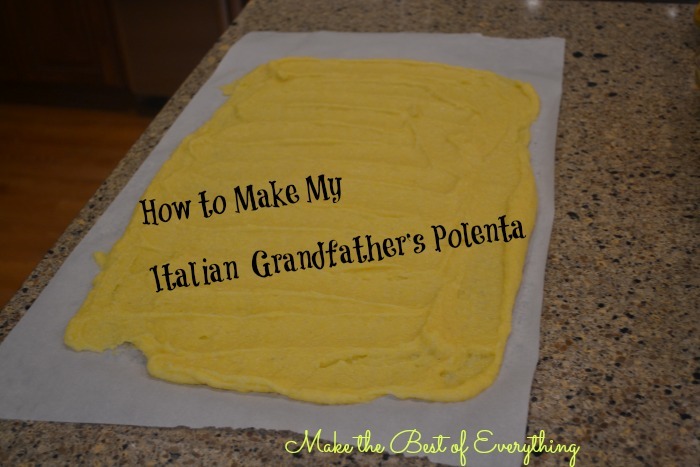 I learned how to make Polenta from my mom who learned it from her dad, my Grandpa Zerboglio- who is Northern Italian. I love it when my mom tells stories about her Italian relatives growing tomatoes, zucchini and other vegetables in their gardens and the wonderful dishes they made from scratch. Bring water to a boil in a saucepan and add salt. gradually add cornmeal. Reduce the heat to low and stir while it thickens. – This will take 12-15 minutes. When thick, add olive oil and parmesan cheese. Take off the heat. 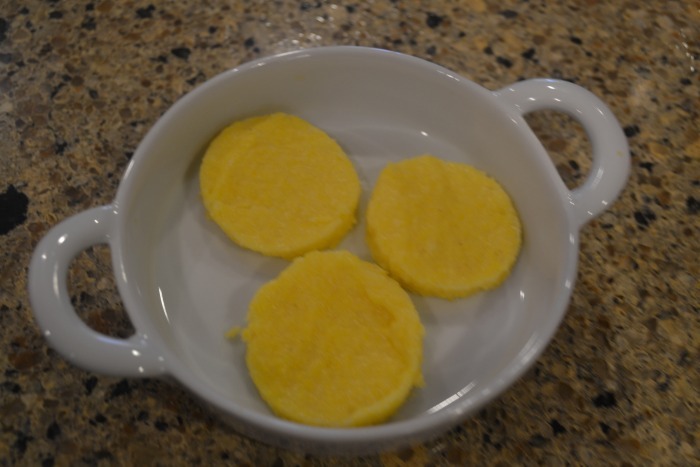 If you are making polenta cakes, you will want to spread the mixture on wax paper to cool. 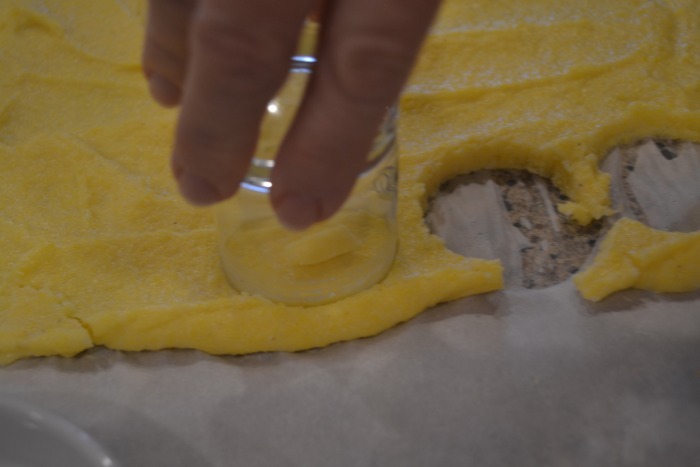 Since I was making Polenta cakes I spread the mixture on wax paper to cool. 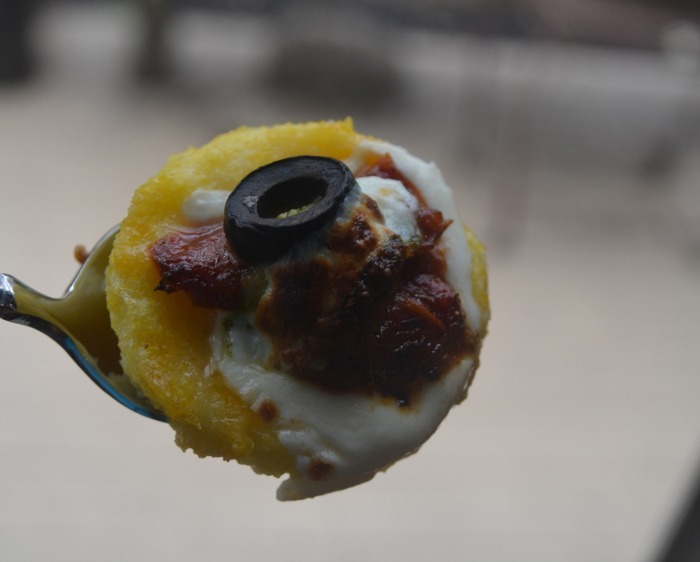 Then once the polenta had cooled cut out little cakes using a shot glass. 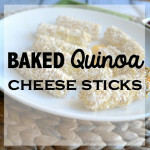 And the rest of the prep for this easy appetizer was simple! I put mozzarella cheese, some pesto, a sun-dried tomato and an olive on top. 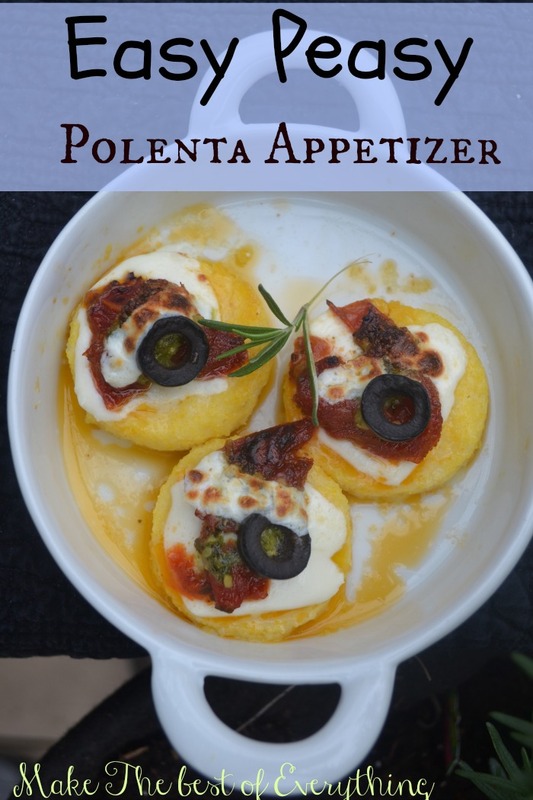 You can top your polenta cake appetizers with WHATEVER YOU LIKE! 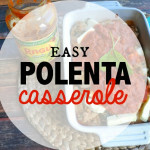 Want to learn more about Polenta? Well I did another one of my obsessive Pinterest searches for you. 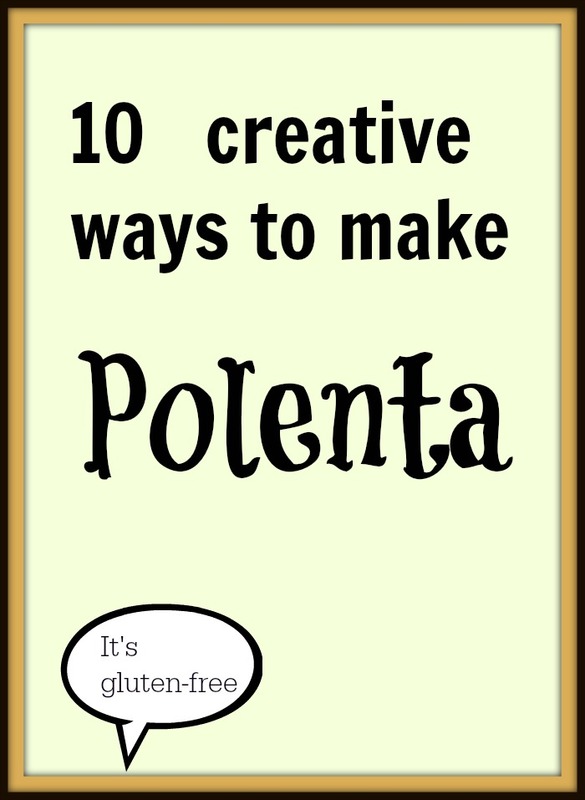 and complied a list of fun ways to eat polenta! 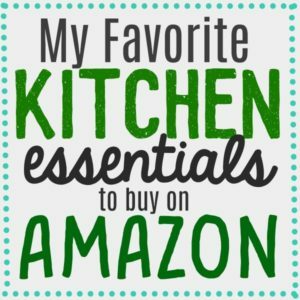 Click on each item- it will link you to the origional recipe. They all look phemonimal. OMG putting this list together made me REALLY hungry! 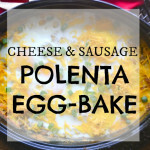 Check some of these recipes out and make some polenta this weekend! I am sure you will be happy that you did! 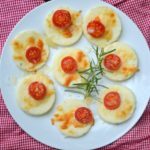 Rosemary Parmesan Polenta Bites and a video tutorial!